After reading this issue, the first thing that came to mind was that with a single sentence, a whole society can crumble into chaos. And it seems that with the appearance of Onyx Prime on Cybertron, this may actually happen. This month, the issue’s narrator is Aileron, a transformer who grew up on the settlement of Caminus who, along with her friend Sterling, seemed to look up to the Primes, but mostly Pyra Magna of the Torchbearers. Having dragged Sterling to the main city, they would attend services presided over by the Mistress of Flame and learn as much as they could. However, for them, as it is noted, it all changed when Cybertron appeared in their skies and they were reunited with all other Transformers. The beginning of the issue doesn’t seem to flow with the rest of the story, but in actuality, helps to contextualize what is happening on Cybertron: change is coming, and that change comes in the form of Onyx Prime. From there, the story loops back to Optimus and Onyx as Onyx not only accuses Soundwave of murder (of Alpha Trion from the previous) issue, and sheds light on some of his misdeeds from the past. It seems innocuous enough as you read it (Soundwave being a former Decepticon and all), but within pages you can see that Barber is using this all as set-up to the larger story. 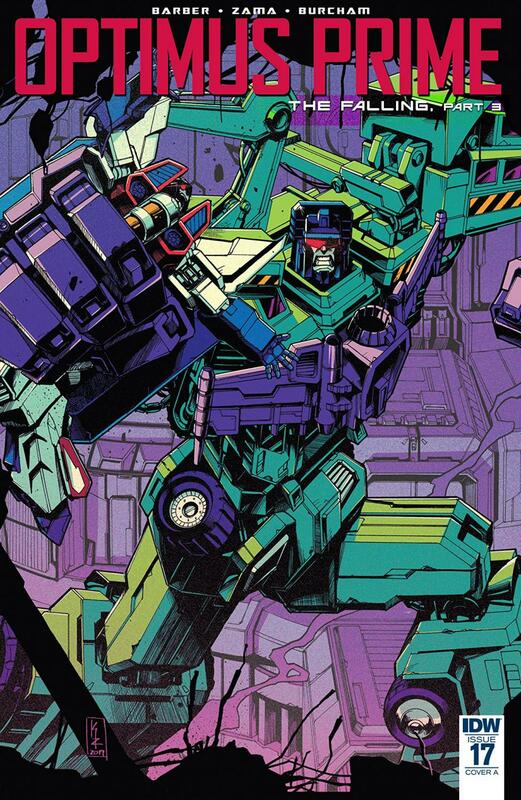 This all leads to a final page reveal that I won’t spoil here, but that I expect was a massive shocker to long-time Transformers fans who have been keeping up with the series over the years. Even as a newer fan/reader, I was shocked and credit goes to Barber and Zama for pulling it off so perfectly. I knew in that moment that it was meant to be epic, and that would not have happened without their excellent storytelling.